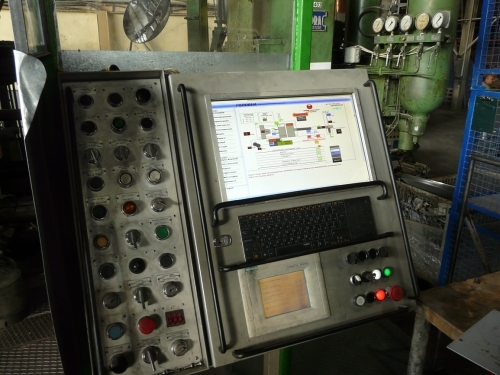 In 2013, our control system Tecomat Foxtrot was implemented for control of casting press machine in city light manufacturing plant held in city Ternopol in Ukraine. 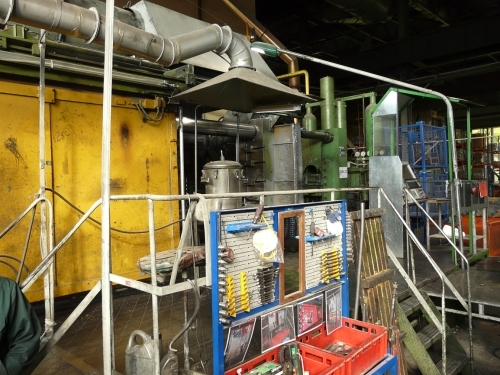 The whole press machine was renewed, including control and monitoring of casting process of basic parts of the city outside light. Manufacturing line for casting corpuses was manufactured in Italy by company IDRA. Manufacturing of basic parts is based on casting of special alloy under high pressure. The whole casting process consists of few following steps. First one is melting alloy for corpuses. Following step is dosaging of exact amount of moltan alloy for specific type of lamp. Last operation is pressing of corpus in compression mould. All operations including pressed part cooling and its movement to next machining are going on automatically. Integral part of lamp manufacturing process is monitoring of emergency statuses, evaluating and removing them. All is displayed at pressing line control station. In this application there is used PLC Tecomat Foxtrot CP-1003 with visualization by web-server directly in central module. The project Control of casting press machine in city lamp manufacturing plant was implemented by company „ČP SAKS“ in 2013 with Mr. Taras Cuma.